When starting your driving lessons to learn to drive a car and get driving lessons you will need to have a valid signed UK Driving License or a Valid International Driving Licence from a country outside the European Union. This means a license issued by the Driving Vehicle & Licensing Authority with your name and at your current address. You do not need to carry it around with you because should you need to produce it you will be given 7 days to produce it at a police station of your choice. You can obtain an application form from Main Post Offices, or by writing to Customer Enquires (Drivers) DVLA Swansea SA6 7JL or by phone 0870 2400009 or by visiting http://www.dvla.gov.uk. There are too many rules and regulations regarding this issuing of driving licenses for me to list in this short introduction to driving, so if you need more information contact the DVLA. The Theory Test is now made up of two parts. The First Part of the Test is a MultiChoice Questionnaire of 50 questions of which the Trainee must answer 43 Correctly. There will be various sections you could be asked questions . The time limit is 50 minutes. The Second Part is called the Hazard Perception and Awareness Section. This is completed on a computer, you will be asked to view several situations on a Video clip. while watching the video clips you will be asked to identify hazards or when you should need to check your mirrors by clicking the mouse. The Idea is that the Trainee is encouraged to be able to Identify Potential Hazards and plan how to Anticipate and Deal with them in plenty of time. There is a Time limit for this section of about 15 minutes. 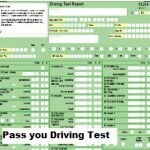 Why should I use a Qualified Driving Instructor? Why should I go to a Driving Instructor to be taught starting your driving lessons, rather than my Mum / Dad / Brother / Sister / Uncle / Aunt or friend who has been driving for 15 years plus and have never had an accident? They say they can give me driving lessons. To pass the Practical Test and be a safe driver you will need to have a planned training course of driving lessons,especially at the beginning so you have to get the basic safe driving concepts sorted out in your mind. Then as much practical practice with the instructor and with mum dad etc as you can get, in a safe manner. The only people allowed to be paid or receive gifts in exchange for lessons are Approved Driving Instructors (ADI Cars) or a Trainee Licence Holder. An Approved Driving Instructor has to display his license all the time he is teaching and to obtain this licence he has had to pass a comprehensive and intense three-party exam and be registered with the Driving Standards Agency. Which instructor to choose to give you when starting your driving lessons is up to you. Why not ask your family & friends for recommendations or visit the web. Choose an instructor depending on his reputation & what he has to offer. All instructors should try to cover as much of the Practical Driving Syllabus as possible, let you know what the Recommended Books are. Be able to help you prepare for the test as safely as possible possibly let you find out what the real test is like by giving you a mock test, allow you to practice as many subjects related to safe driving as possible in the time available to you. To pass the practical test you will have to be able to drive to an appropriate standard set by the Driving Standards Agency and tested by Examiners paid by the Driving Standards Agency. Do not drive if you feel tired or unwell or notice you are losing concentration. Alcohol reduces your ability to drive safely. Driving with alcohol in your system is potentially extremely dangerous and carries severe penalties. 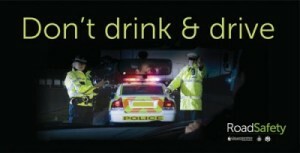 If you drink in the evening you may be over the limit in the morning. It takes over 24 hours for alcohol to be totally flushed out of your system. You must not drive if your breath alcohol level is higher than 35ug/100ml (equivalent to a blood alcohol level of 80mg/100ml) Driving whilst under the influence of drugs prescribed, bought or illegal which affect your driving is an offence. If you are not sure whether the drugs you are planning to take are going to affect your driving then check with your pharmacist or doctor. After starting your driving lessons remember that taking illegal drugs affect your ability to drive safely not only while it is in your system but it can have a lasting after effects. They might make you feel good but this is at the cost of your ability to make safe judgements. As a driver, you will need to remember the stopping distances at various speeds. I feel it is also important to know what the actual stopping distances are. At 30mph your stopping distance is 75 feet, 23 meters, or 6 car lengths. Try to imagine how far six car lengths is. For example imagine how far six car lengths away is from where you are sitting or when you are sitting in the car. This idea of stopping distances is often misunderstood. The stopping distance given in the Highway Code is an average distance taking into account many factors such as road conditions, types of tires, weather and other variables. So different cars will have different stopping distances. Remember after starting your driving lessons the stopping distances change depending on many different variables such as weather, road conditions, tyre conditions and the driver’s reactions. There is a variable that is often forgotten when breaking that is the thinking distances. It will take an average of 0.7 seconds for you to react. That is the time it will take for you to start to move your foot. Why not find out how far you travel at 30 mph before you react to a given situation (9 meters) then work out how far from where you are sitting now or in your car what 9 meters really is. This means that you should NEVER drive at a speed that you cannot see it is safe to stop in regardless of the conditions. Have a look at this page about Brake, The website for people interested in Road Safety.